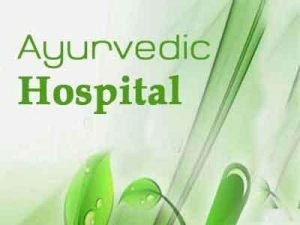 Panaji : Mauritian Prime Minister Anerood Jugnauth said that the island nation could soon be coming up with a Ayurvedic hospital. Jugnauth, who was speaking at a function organised by Sandu Pharmaceuticals in Pilerne, near the state capital, also said that Mauritians felt at home in India and vice versa. “I will do my best to see to it that an Ayurvedic hospital is established in the very near future in Mauritius,” the Prime Minister said. He also wished that the values, merit of the vedic medicine be known and appreciated all over the world. Jugnauth also said that Mauritians were proud of the shared heritage with India. “When you come to Mauritius. You feel at ease, you feel at home because you get the feeling that you are in some part of India and for this we are very proud. “We are indebted to our ancestors who have left such memorable values for us,” he also said. Jugnauth also said that Ayurveda treatment was offered free in Mauritius, in accordance with the free medical services policy in the island nation. “Now, Ayurvedic medicine You know many people don’t realise how valuable it is. I have always believed in it. I have always tried to promote it in Mauritius. “The medicines are being given free to patients, why? Because medical services, medical care is free in Mauritius and therefore, we could not do otherwise. It is a service integrated in our medical service,” he said.